No more ties, mugs, shaving sets, or gift cards. No more Father’s day Coupon Books, mouse pads, t-shirts, or DVDs. 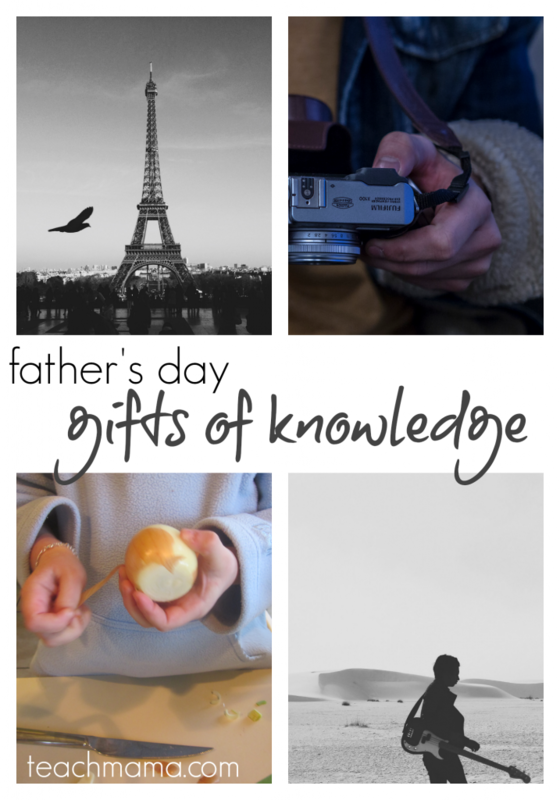 Dad’s seen them all, and he has more than enough of these kinds of gifts. This year, we’re thinking outside the box a bit. 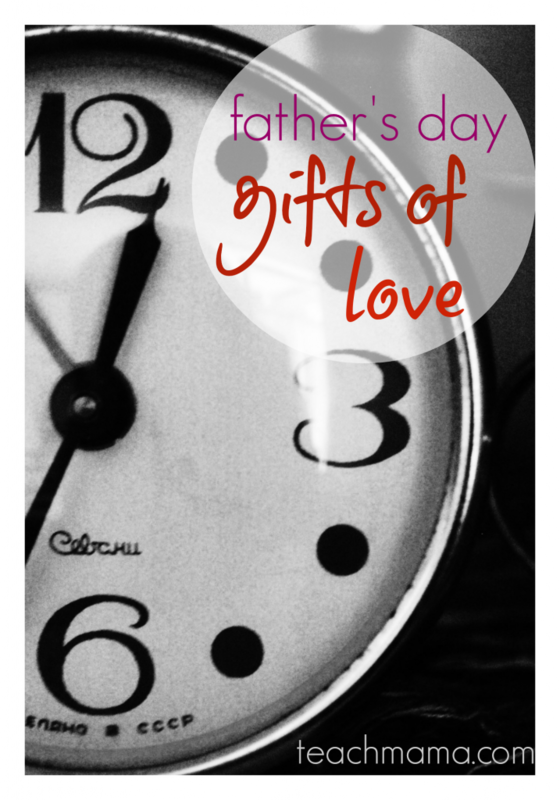 We’re getting the dads in our life something really special for Father’s Day, something really different. My husband is an incredible father to our children. He really is. So when Father’s Day rolls around, I want to do my best to show him how much I appreciate him and all he does. 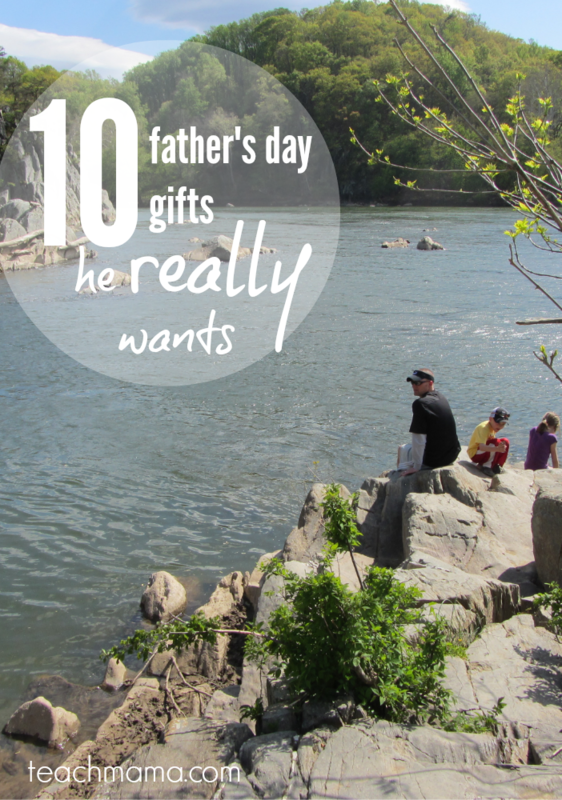 10 Best Father’s Day Gifts (Stuff Dad REALLY Wants! ): We all know he says he loves the underwear and socks (and sure, he needs them. . . ) but how about something a little more exciting this year? 1. Ball Game: Wrap up a new baseball glove or baseball hat, but surprise Dad with tickets to see his favorite team. Professional baseball games can get expensive, so consider attending a minor league or local college game—they’re just as fun! 2. Hiking day: Introduce your dad to the awesome art of geocaching and give him a handheld GPS . Geocaching is an absolute blast, and not only will Dad be intrigued, he’ll be totally up for the challenge of finding those caches! 3. Concert: Bring some of Dad’s music to life by finding out when his favorite group is coming to town. Tickets to a concert may be a little pricey, but isn’t Dad worth it? 4. Classes: Wrap up a course book from the local community college and tell Dad that he can register for a course he’s wanted to take next semester. Or if Dad’s not the studying type (or already has the degrees he wants! 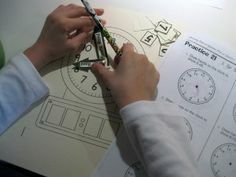 ), find a class that aligns with his hobbies or interests. Consider: riding lessons, woodworking lessons, cooking lessons, or dance lessons (with Mom, of course!). 5. Training: Sometimes it’s hard for dads to admit they need help with something, so a private trainer is the answer. Whether it’s a personal trainer at the gym, a few hours with the golf pro at the course, or solo time with a speed coach, whatever Dad loves, there’s a pro out there to help him improve. 6. Stylist: Though he may not think he needs a personal stylist or a make-over, many dads need a little jumpstart to move them in the direction of finding their best self. Most department stores or salons offer styling and make-overs. Believe me, Dad will love it. 7. 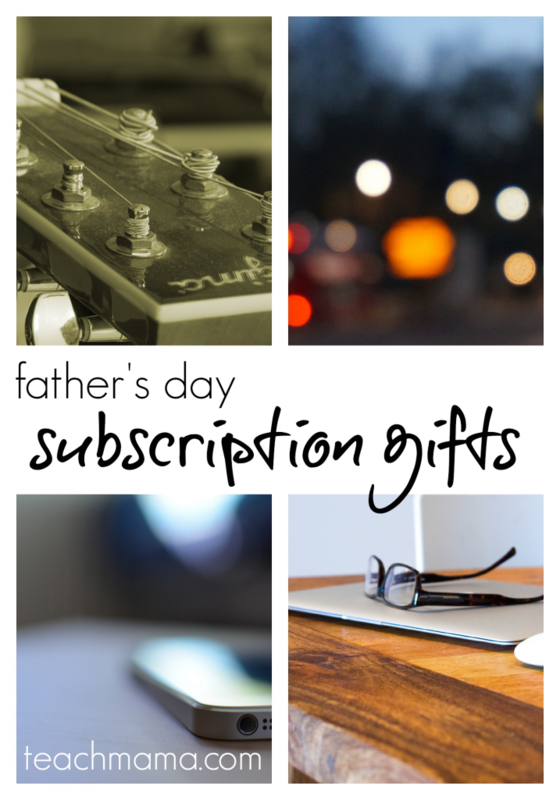 Music Channel: Tons of music subscription channels are on the market now, so shop around and find one that suits Dad’s needs. 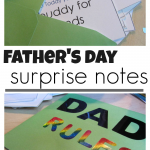 Wrap up a pair of headphones along with a note explaining the gift, and Dad will be a happy guy. 8. Favorite Television Channel: Whether Dad loves movies or sports, news or the arts, there is a premium subscription channel for him. Treat him to his favorite for a few months, and I’m betting he’ll be over the moon. 9. Magazine Subscription: Time, Sports Illustrated, Vibe, or National Geographic. People, Wired, Men’s Health, or Car & Driver. Though we’re in the digital age, magazines are still super fun to receive, read, and share. What are your favorite ways to celebrate Dad on his big day? I’d love to hear your ideas about what has worked—and what has not worked—for the Dad in your life! Do let us know in the comments! fyi: I am blogging on behalf of Walmart.com and received compensation for my time, but the views expressed here are solely mine, not Walmart’s. Shop online and save money to live better at http://www.walmart.com. 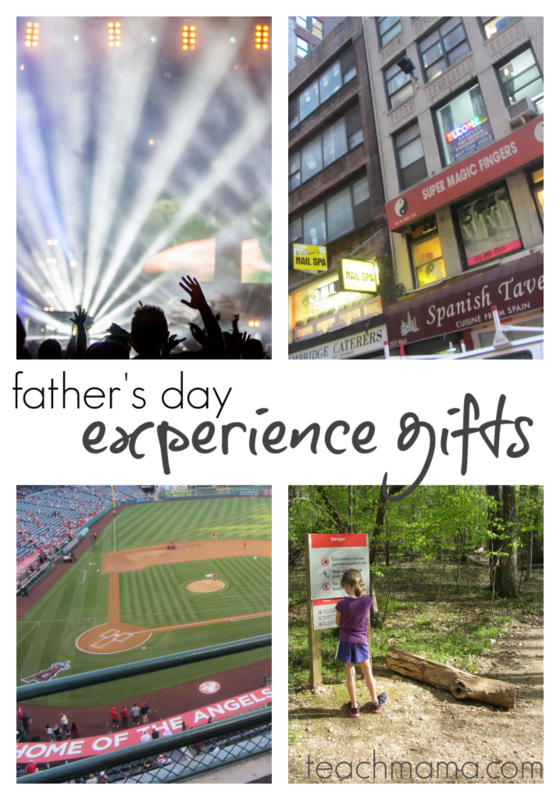 I love giving photo gifts for Father’s Day, but I love the experience gifts too. What a great memory for all involved! EMMA! super idea–totally forgot photos! Thanks for the reminder! I start with what has not worked: We got the dad a monogrammed ring last year. Well the ring ended up being too tight on daddy’s finger. After he wore it first thing on the Father’s day morning, his finger started to swell up. We tried a few tricks by searching on Google to remove the ring, but none worked. As daddy’s finger got worse, we had to take a trip to the emergency room and have the ring cut off by the hospital personnel! Obviously not a perfect father’s day of course! This year we are going to make it up to him definitely! 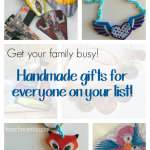 I like the #10 Gifts of Love ideas. Still got some time left, so we’ll figure it out! Sanam! WOW! That IS a tough Father’s Day!! But I suppose it’s the thought that counts, right? Here’s to a better Father’s Day 2014! My husband is still deciding on what he wants. These are great ideas! Thanks, my friend! Do let us know what he decides when he figures it out !